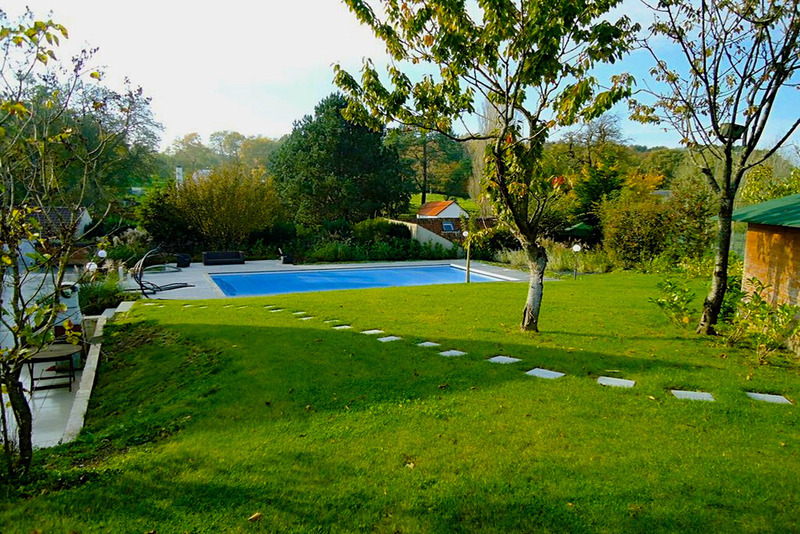 Fantastic rural setting for this large garden. 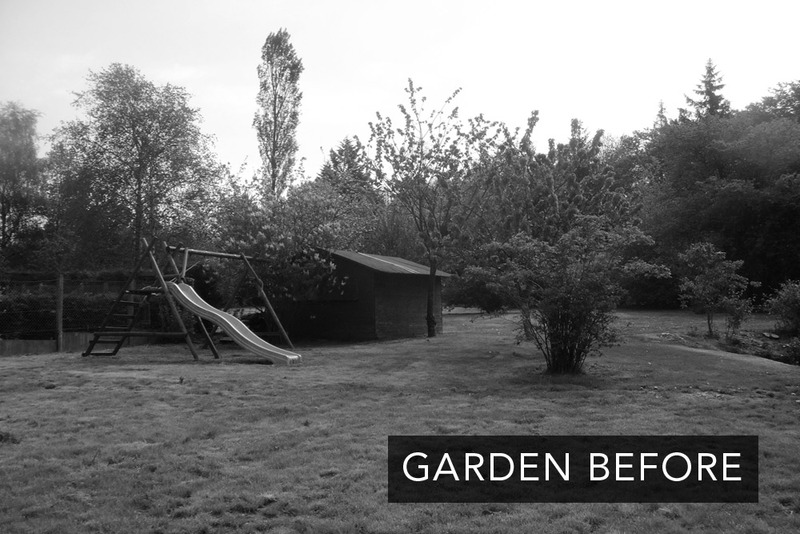 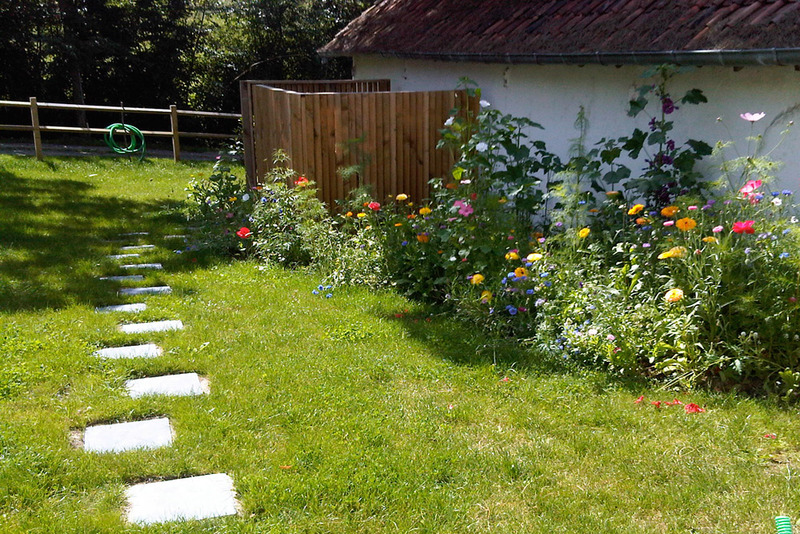 The brief was to incorporate a large swimming pool in the back garden and create borders, play areas and an orchard. 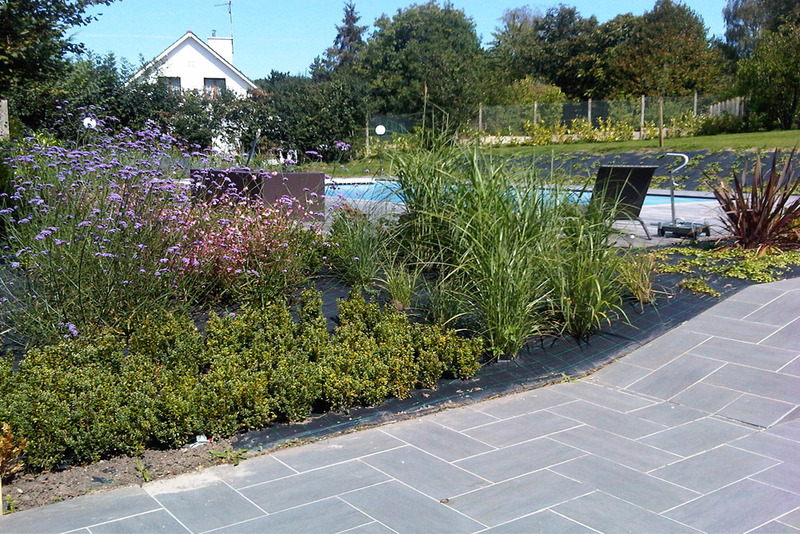 Evergreen shrubs, tall grasses and herbaceous plants in scale with the garden frame the swimming pool area. 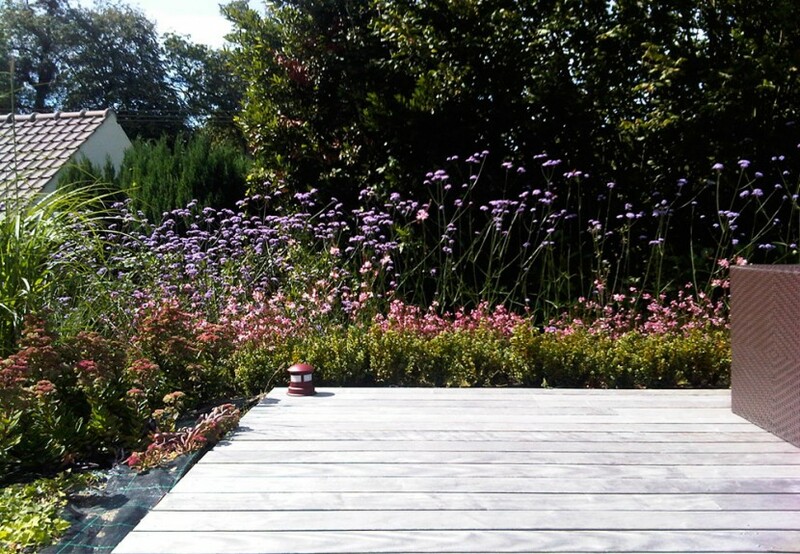 Hardwood decking has been used around the swimming pool. 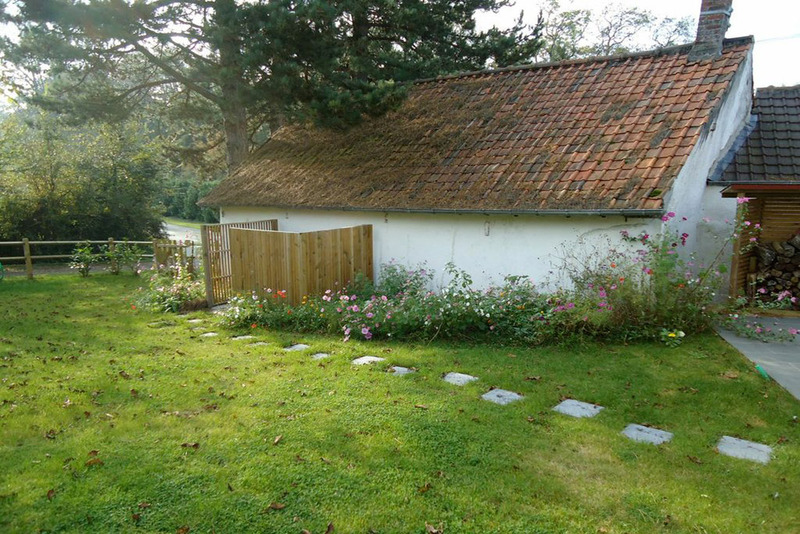 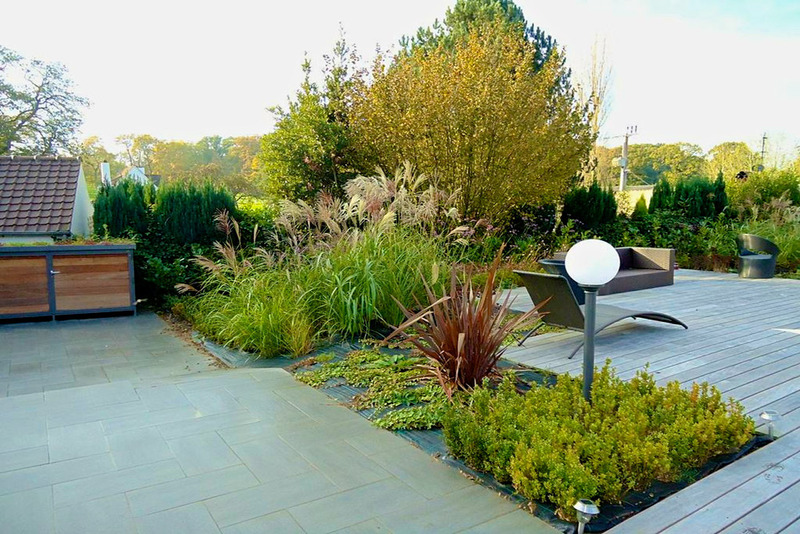 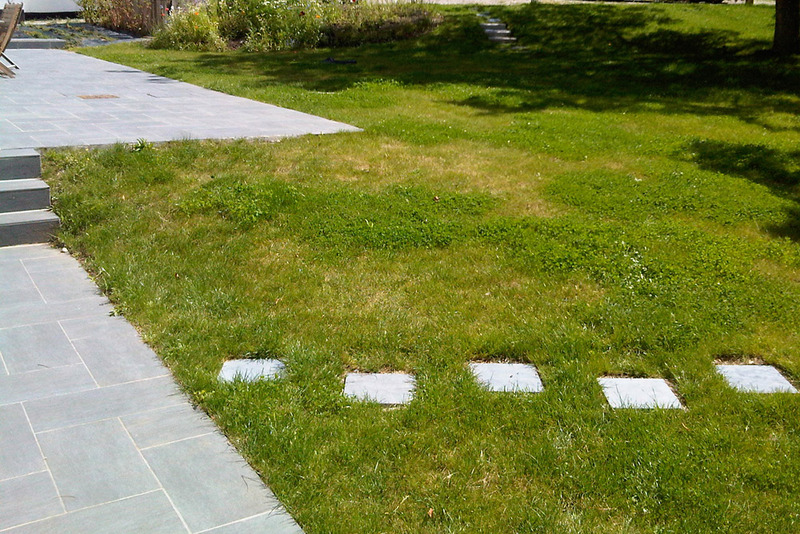 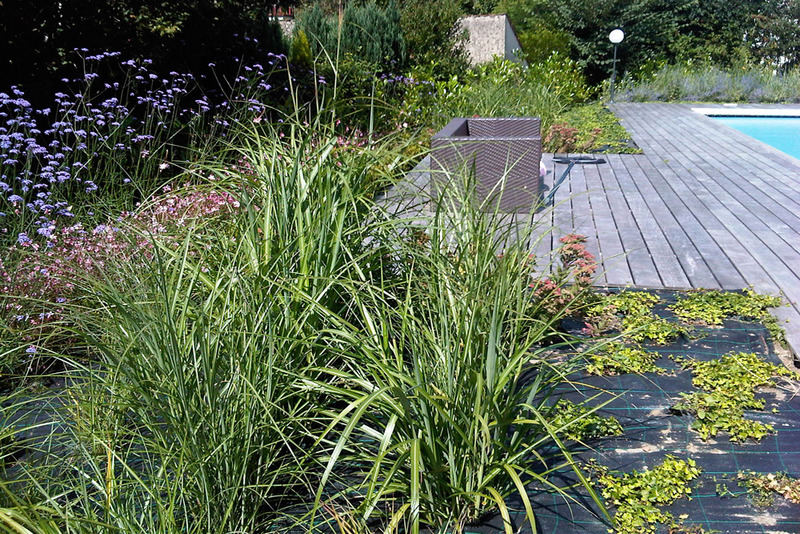 A storage area with a green roof has been designed to match the garden.